Champagne brand Veuve Clicquot is set to stage a hyperrealism experience at Wilderness festival, which runs from 3-6 August. 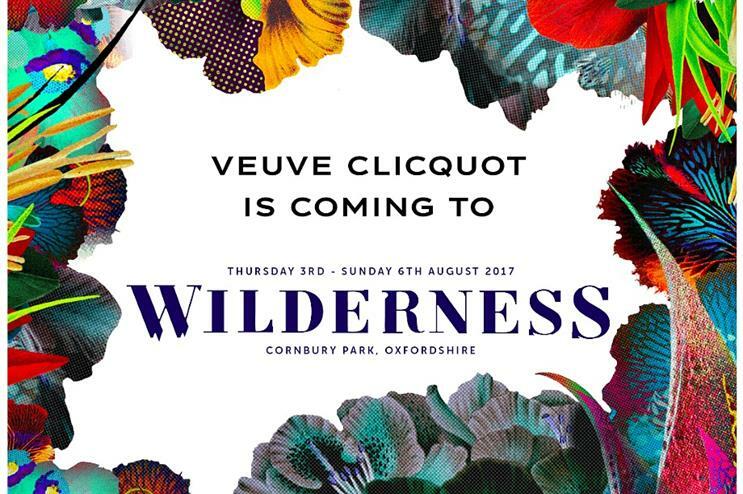 Veuve Clicquot will be activating at Wilderness festival from 3-6 August, inviting guests into a world of hyperrealism. Champagne fans will be able to re-connect with nature through the creative lens of technology, music and performance. Festival-goers can relax inside or outside of the Veuve Clicquot stand, with the outside featuring hanging foliage and vibrant pop-art inspired fruit. The brand's Champagne bar will host several performances from visual dance piece Kimatica, which uses body movement and interactive technology to blur the line between fantasy and reality. The brand will be serving its Clicquot’s signature Yellow Label, as well its and RICH range - a Champagne served over ice. More: In October, Veuve Clicquot staged a gothic-themed party to celebrate its anniversary. In June Krug Champagne announced that it will stage a luxury festival on 29 July.